Multiple points of adjustability and a sporty look make the Earth Origins Sand Nevis a summer must. 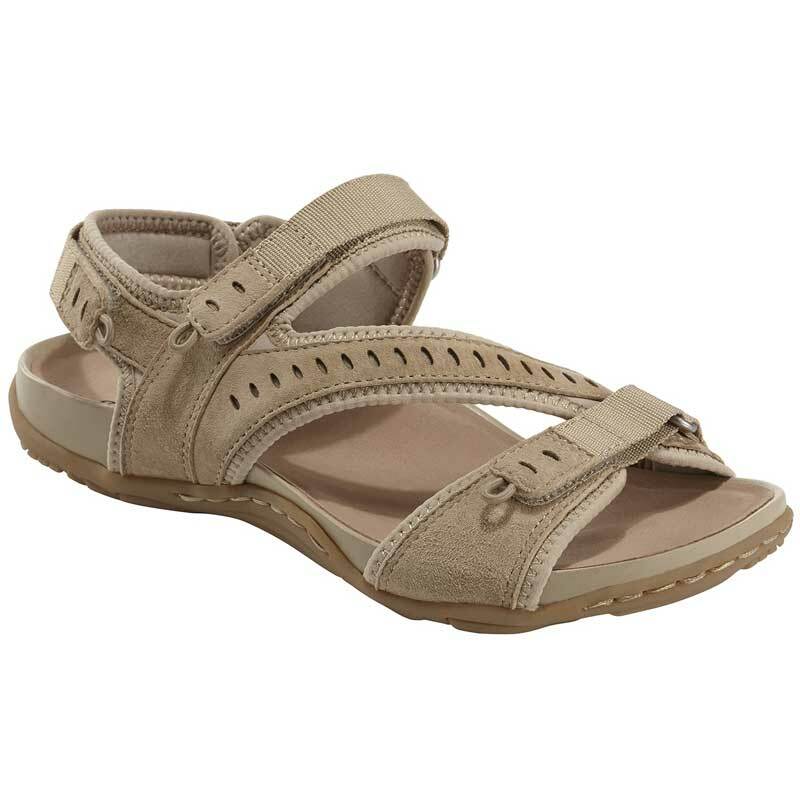 This women’s sandal is crafted from suede and spandex with THREE adjustable straps for a perfect fit. Perf detail adds a little sporty style and Earth’s Earth® Powerpath® footbed guides the foot along a natural path to keep you feeling like a million bucks all day long.